After dutifully calling my doctor and my husband (I was sleeping in a couch by that point because I was too big and uncomfortable to sleep in my bed), I cried, feeling overwhelmed. But the show had to go on. My husband and I had just talked to one of our doctors the night before, and he had recommended that we not stress ourselves out by rushing to the hospital once labor started. “Since you’re having your first baby, your labor will take a while,” he said, “so relax and take your time to get ready…pack, shower, and eat breakfast if you want.” So, I packed my hospital backpack (which was a repurposed college backpack), and then slowly showered, blow-dried my hair, and applied some industrial-strength eyeliner. I was still feeling pretty good, so I did indeed decide to make some breakfast. Hmm. 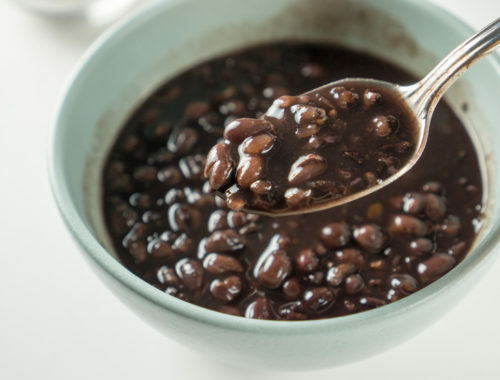 What would I make as my last meal as a non-mother? Truth be told, there was never a question about what I would make: my favorite egg sandwich. I beat eggs with salt and pepper, poured the mixture into a bowl, zapped it in a microwave for a couple of minutes, topped it with a sharp cheddar, and then ate it between two slices of dense, eggy toast. Who knew how long my labor would last? I needed a hot breakfast with a good mix of protein, fat, and carbs to sustain me throughout the day. The egg sandwich would do the trick. 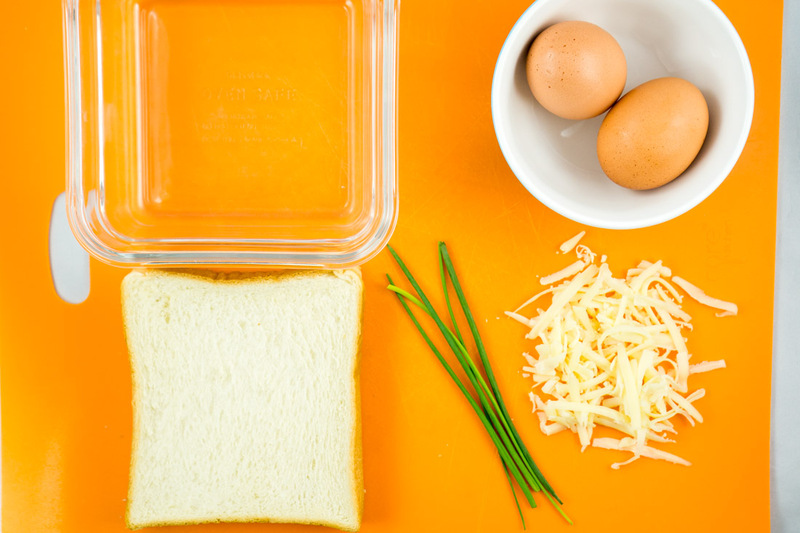 Step 1: Gather your bread, 1/4 cup shredded cheese, two eggs, and toppings/seasoning (salt, pepper, chives, paprika, etc.). 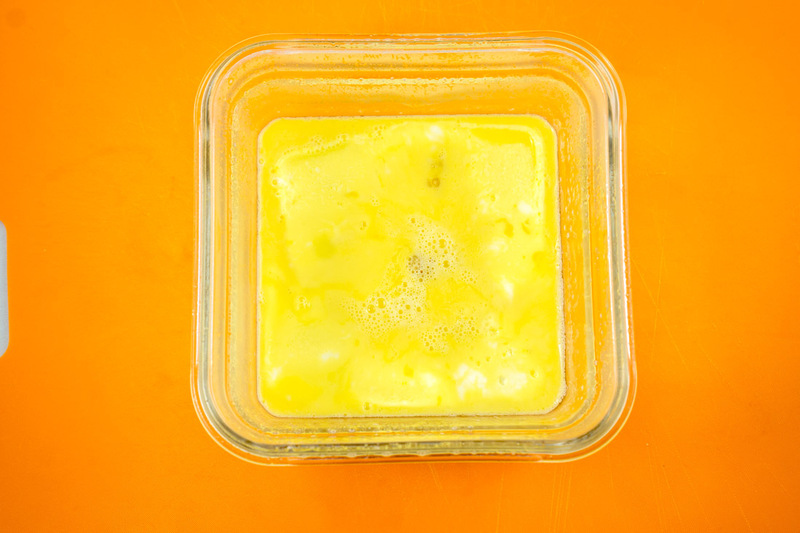 Step 2: Beat the eggs with milk (or cream, or water) and lightly coat your microwave-safe bowl/container with cooking spray or butter. Step 3: Microwave your eggs for about 25-30 seconds, depending on your microwave. Step 4: Stir. Return to the microwave and zap for another 25-30 seconds. Repeat until eggs are just a little liquidy in the center but otherwise puffy and cooked. 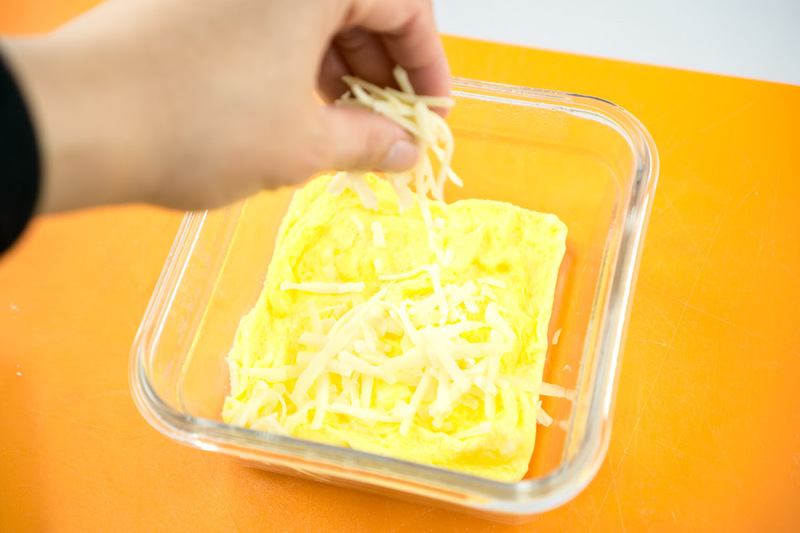 Step 5: When eggs are almost set and just a little liquidy in the center, sprinkle on your shredded cheese and microwave for a final 25-30 seconds. 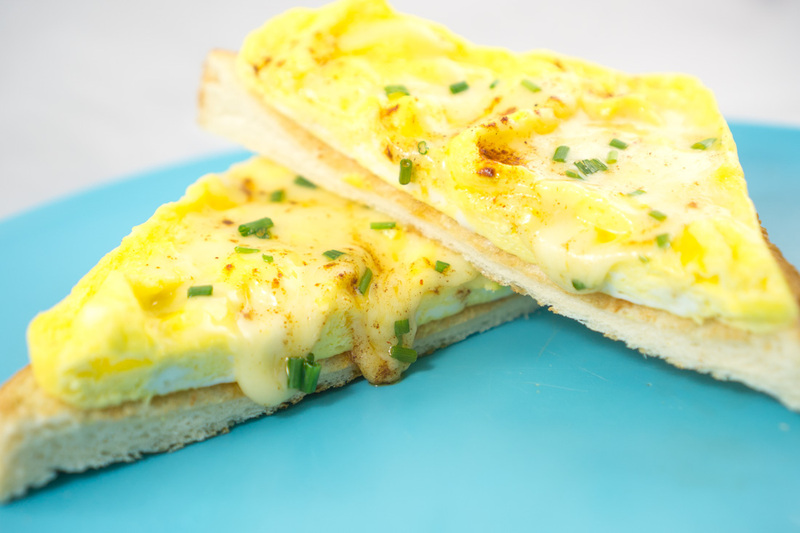 Step 6: Toast bread and top with cheesy eggs. Step 7: Top with more salt to taste, pepper (if desired), paprika and chives, and/or anything else you might like on your eggs. Slice, and devour. About six hours later, I was holding my baby in my arms. I was tired and thirsty, but the egg sandwich had done its important job of sustaining me throughout the birth. 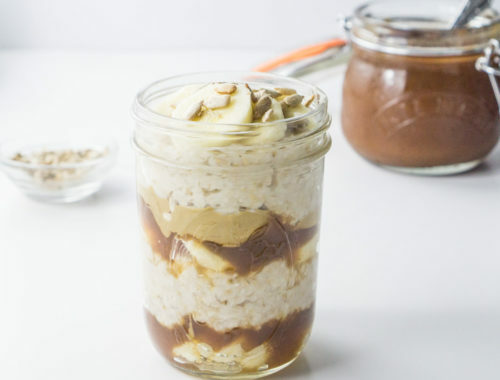 I can’t think of a more delicious or comforting power breakfast. 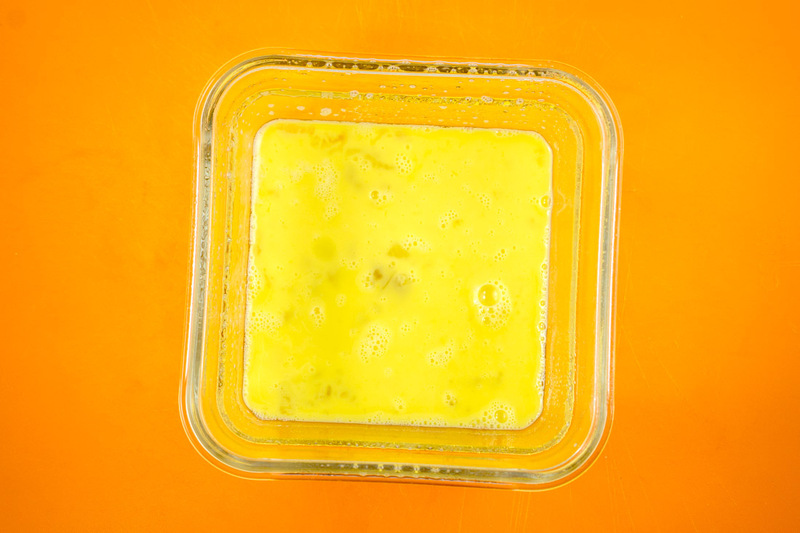 Lightly grease a microwave-safe bowl or glass food container with cooking spray or butter. Beat eggs with milk, cream, or water. Add a pinch or two of salt and pepper. 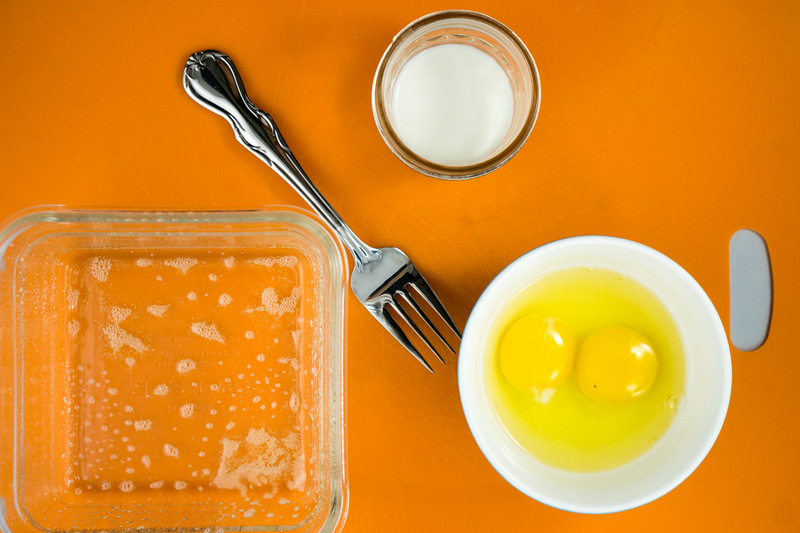 Pour eggs into greased bowl and cover (a microwave-safe dinner plate would work well, if you don't have a microwave cover). Microwave eggs for 25-30 seconds. Stir with a fork. Microwave again for 25-30 seconds. Stir. If eggs are still very liquidy, microwave for a final 25-30 seconds. Your cooking time will depend largely on your bowl shape/size and your microwave wattage. When bowl of eggs has only a small amount of uncooked liquid remaining in the center, top with the shredded cheese and microwave for a final 25-30 seconds. 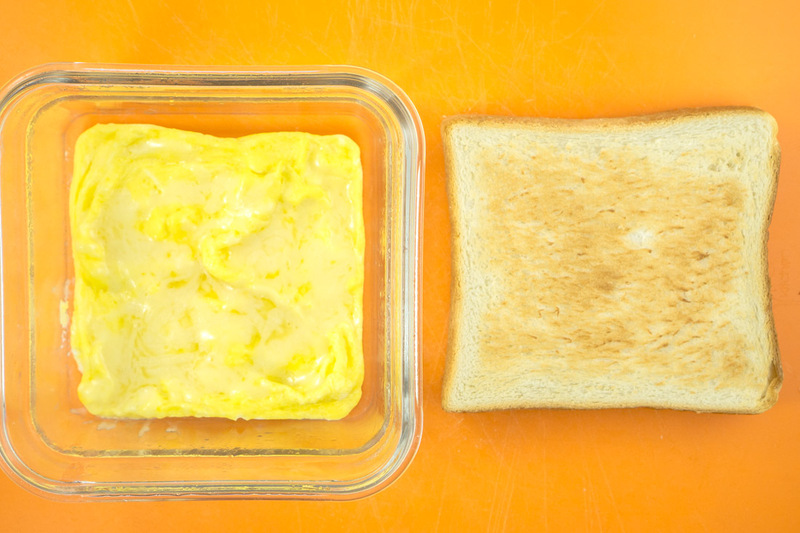 Remove bowl from microwave and carefully remove eggs from bowl and place on toast with spatula. Top with a pinch of smoked paprika, additional salt and pepper to taste, and chives. Slice, and serve. 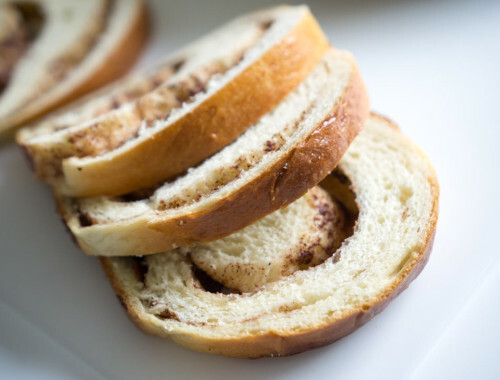 Japanese milk bread is preferred, but brioche and sourdough would also be great. Really, any bread you enjoy will do.